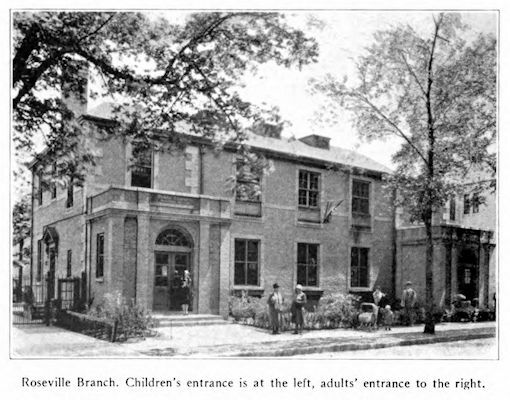 The Roseville Branch of the Newark Public Library opened in October, 1924. The branch was opened at a cost of $55,748, excluding the book collection. The building is cream brick finished inside with rough cement. The first floor houses the Adult Room and work room. The second floor houses the Children's Room and staff room. Pictures on the wall are changed from time to time and the exhibits in the museum case are provided by the Newark Museum and are kept for six weeks at a time.